Over the last year I've found the ease of the "dump cake" and my family and I've enjoyed several different versions of it from peach cobbler to pineapple blueberry and a multitude of versions in between. I just started weight watchers and didn't know what I was going to do for our dessert night. We always have dessert one night a week as a special treat. 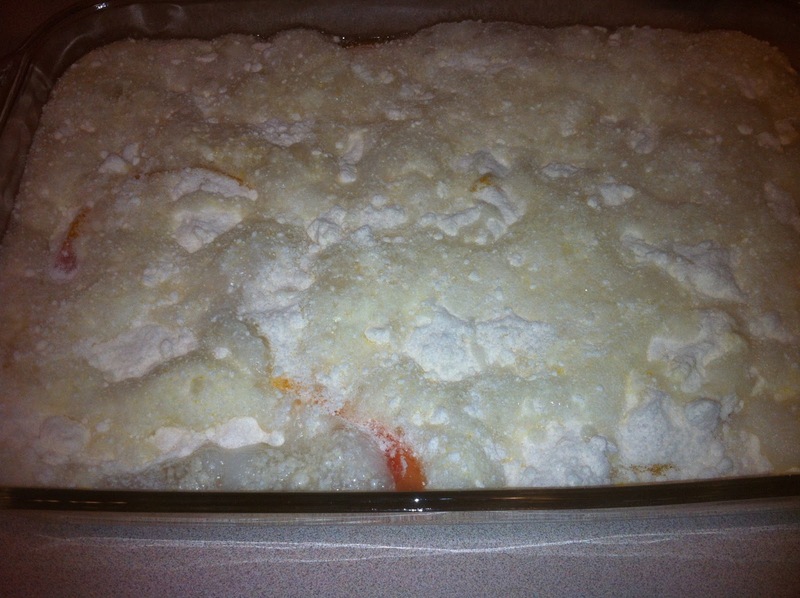 Dump cake has a TON of butter in it so I knew that wouldn't jive with my new Weight Watchers Points Plus plan. 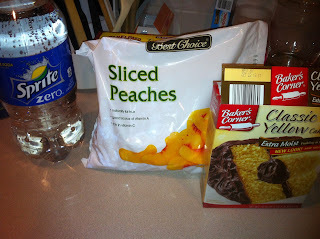 I went on a search and found a Weight Watchers friendly version of the oh so famous and well loved dump cake. 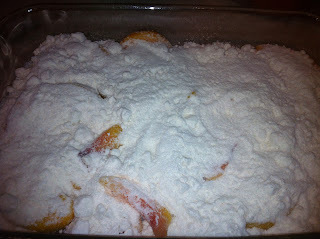 I lightly sprayed the pan with Pam, then poured some peaches in the bottom and spread them evenly. 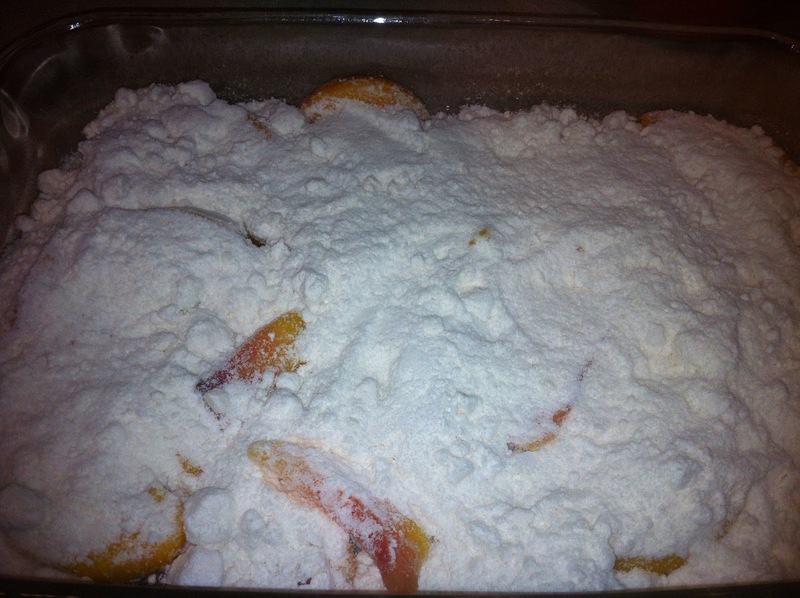 Next I dumped a box of cake mix over top of the fruit. 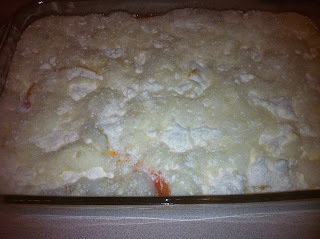 Last step was pour 1 and half cups of Sprite Zero over the cake mix, it gets all foamy and something wonderful happens! Then stick it in a 350 degree oven for 35-45 minutes until golden brown. VERDICT: Everyone loved this version and said it was wonderful. I forgot to take a picture of the final product and we didn't have any leftovers because my nieces were here. The website that I found this recipe on said that the WW point plus were 4 for a 1/16 size piece of cake. I also found out that you can use diet Root Beer with a Spice Cake, diet cherry coke with white cake or ever devils food cake sounds good and another one mentioned was diet orange soda with white cake! Sounds like we will be mixing it up and trying all different types of the WW Dump Cake. If you have a version that you prefer leave me a comment and tell me about it, I'd love to taste test it!